Spin-U will be a weekend of Fibery Goodness! Join us as we welcome Abby Franquemont, Lisa Grossman (the Tsock Tsarina), Beth Smith, and Rosane Mordt to Spin-U. They will be teaching us everything from spinning for socks, to lace with longwools. We’re finalizing classes now. The first annual Spin-U will be held July 12 – 14, 2013 at Hofstra University in Uniondale, NY. Need a place to stay? We’ve got room at the Inn! Want to join us for meals? We’ve got that too. All that, and a 20 vendor market? Sign me up! So how much is this going to cost? We are still finalizing our pricing but you’ll definitely be getting your money’s worth. Pricing will be provided for classes, housing, and meals. We will also be offering package prices. Teacher bios and class lists are available now and registration will open in late May. 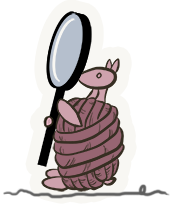 Please check back or send an email to info@knitonespintoo.com and we’ll let you know when there’s new info.